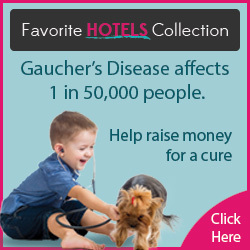 The purpose of the project is to learn more about the opinions and points of view of patients on living with Gaucher disease about current treatment options, to better address the overall treatment and lives of Gaucher disease patients everywhere. If you are a patient or caregiver meeting these criteria and are interested participating in a 60-minute online video chat interview in your own home, we will compensate you $150 for your time and opinions. If you can refer us someone qualified, we will compensate you $50 for every interview performed that your referral provides. All you will need is access to a strong internet connection along with a device with a camera and microphone such as a computer, a tablet, or smartphone. Times are currently available for interviews early the week of June 20th. Please know we have extensive experience conducting health care/pharmaceutical research which you can check out on our site (http://videochatnetwork.net/pharma-redo/). We are always respectful of patients and their condition. Please send me an email or call me at 646-772-7016 if you are interested in helping us out.